Are you ready to battle swimmer’s ear? Swim season is here, which usually mean lots of fun, but could also lead to lots of aches and pain because of swimmer’s ear. Most people do not realize how delicate their ears are and that they should be protected while in water. Swimmer’s ear is also known as acute external otitis since it occurs in the outer ear canal. When water gets stuck in this area of your ear after swimming (or even if you get bacteria in there from sticking your finger or a cotton swab inside), bacteria can grow out of control and make for a painful infection. 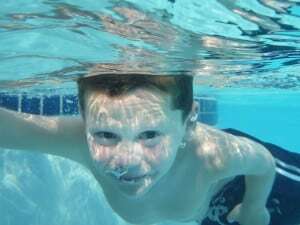 You will normally be able to tell on your own if you are developing a case of swimmer’s ear Swimmer’s ear symptoms are usually mild at first, but they may get worse if your infection isn’t treated or spreads. Doctors often classify swimmer’s ear according to mild, moderate and advanced stages of progression. If you or your child is prone to getting swimmers ear, wear earplugs when you swim a lot. Simply shaking the water out of your ear, by hopping up and down with your head tilted as to let the water out of your ear, may also help. Often it will wiggle itself out and you will have absolutely nothing to worry about. Treatment for swimmer’s ear is not difficult if caught within a reasonable amount of time. Normally, you can pick up a bottle of eardrops from your pharmacy with a simple prescription. Prompt treatment of swimmer’s ear can help prevent progression and complications. However, if you ever do experience a problem with this, there are no better people to go to for assistance than The ENT Institute, with 14 Metro Atlanta locations! To schedule an appointment with the Ear, Nose and Throat Institute, please call 770-406-6587 or click here.